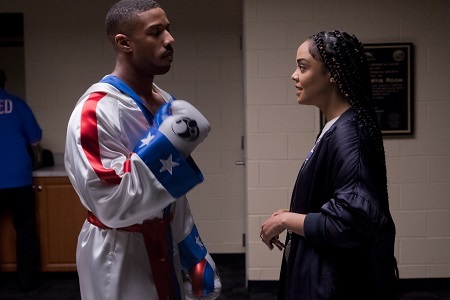 Adonis Creed (Michael B. Jordan) has emerged out of his late father Apollo Creed’s shadow. Thanks to the tutelage of his friend and mentor Rocky Balboa (Sylvester Stallone) and the love of his longtime singer girlfriend Bianca (Tessa Thompson), he is now the heavyweight champion of the world. He has done exactly what he set out to do, and for this one brief moment as far as Adonis is concerned all is right with the world. But someone from out of both Rocky’s and his father’s past has come back to haunt the new champion. In the heart of the Ukraine, Ivan Drago (Dolph Lundgren) has been patiently training his son Viktor (Florian “Big Nasty” Munteanu) to be an even more unstoppable beast inside the ring than even he was. They have challenged Adonis to a bout, and it’s a fight the new champion feels he cannot turn down. Ivan is the man that inadvertently killed his father during their fight. Rocky is the one who, in his grief, subsequently went to Moscow and shocked the world by knocking Ivan out in front of his own countrymen. Adonis feels like he has to accept this fight no matter what the consequences, worrying he’ll disappear back behind his father’s massive silhouette if he fails to take down the son of the man who beat him to death three decades prior. 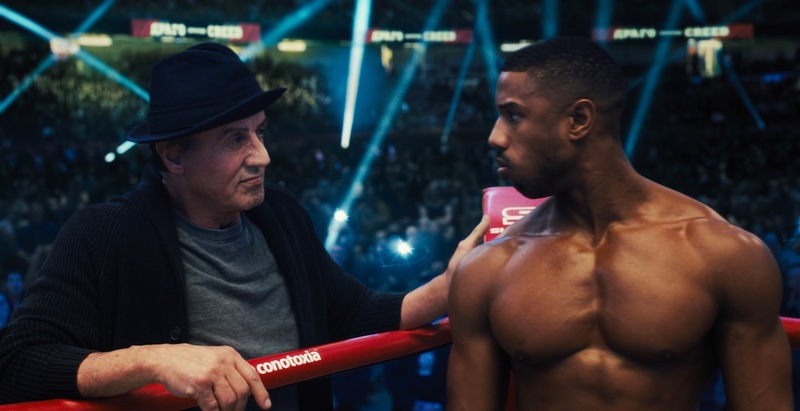 Creed II is a direct sequel to 2015’s surprise hit Creed and also 1985’s Rocky IV. It brings back characters from both those as films as well as ones from other Rocky entries. It gives Phylicia Rashad a tiny bit more to do as Adonis’ mother Mary Anne Creed. Screenwriters Stallone and Juel Taylor give just as much credence to the Ivan/Viktor storyline as they do the Rocky/Adonis one. New director Steven Caple Jr. (The Land) deftly follows in previous filmmaker Ryan Coogler’s (Black Panther, Fruitvale Station) footsteps by insisting the drama remain focused on the characters and their respective journeys above any and everything else. It’s an incredibly well-realized motion picture that continues on the enduring legacy of the previous films yet also manages to make its own individualistic mark as well. In short, it’s a darn good sequel, and it’s safe to say I kind of loved just about every single second of it. At the same time it’s obvious we’ve ventured outside of Coogler’s original vision displayed to such vibrant meticulousness in the last film and have instead strayed back into the one Stallone spent three decades perfecting while working on six different Rocky films beginning with the Academy Award-winning original in 1976 and culminating with his triumphant final chapter Rocky Balboa in 2006. Not only does he bring back the protagonist of Rocky IV, he also throws in a troubled pregnancy subplot culled from Rocky II and the initially reluctant trainer narrative beat from Rocky III. Additionally, as terrific as both Rashad and Thompson might be, and the latter is electrifying stealing scenes left and right from Jordan with magnetic forcefulness, the women are still relegated into the background, their wants, needs and desires secondary to that of the men sharing their lives. In short, it’s back to basics right down to returning composer Ludwig Göransson’s (Venom) heavy utilization of Oscar-winner Bill Conti’s original Rocky themes throughout the 130-minute drama. While he waits to unleash “Gonna Fly Now” until the ideal moment, the rest of Conti’s music can be heard so frequently it’s easy to wonder whether he came out of retirement to compose the score and Göransson’s name is there only as an alias, and while I’m likely being disingenuous in regards to how intricate the music here is, there’s still no denying this sequel sounds more like any one of the ‘80s entries in the series than it does Coogler’s film from just three years ago. I’m nitpicking. 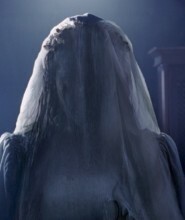 But that still doesn’t mean I didn’t want more complexity as it pertained to Adonis and Bianca’s relationship; that I kept feeling like she needed to be her own woman and construct her own life and not just be a feminine device to help augment her husband’s story at the expense of her own. Even so, it’s refreshing to see a relationship like the one these two shares in a major Hollywood sequel, the heat of their romantic passions genuinely palpable. More, Jordan and Thompson continue to showcase a fiery chemistry that burns through the screen, and I couldn’t have loved the both of them more whenever they were together if I had wanted to try. The rest of the movie follows the general Rocky template right down to the overblown training montage. The fact it all works as well as it does is a testament to how rich the performances are as well as the kinetically captivating efficiency of Caple’s direction. I loved the way Stallone and Taylor’s script balances its screen time between Rocky, Adonis, Ivan and Viktor. The latter two are given a lot to do, the fervent depth of their relationship subtly speaking volumes as father and son both look for redemption even when they don’t always see eye-to-eye as why it is exactly they’re both doing so. Their familial love is real, and I adored the fact so much of the story is reliant upon it being so, and unlike Rocky IV where Ivan was the clear villain this time around he and Viktor are almost as sympathetic and worth rooting for as Adonis and Rocky unsurprisingly continue to be. But all anyone is truly going to care about is the final confrontation between Adonis and Viktor and whether or not watching it is worth the price of admission. It is. While cinematographer Kramer Morgenthau’s (The Darkest Minds) camerawork isn’t nearly as gorgeously fluid as what Maryse Alberti brought to the last film, that doesn’t make his visual styling any less incredible. He brings a brutal urgency to the final fight that’s bruising in its dynamic intensity, each left hook or right jab an eye-popping punch to the gut that had me sitting at the edge of my seat eager to discover what was going to happen next. 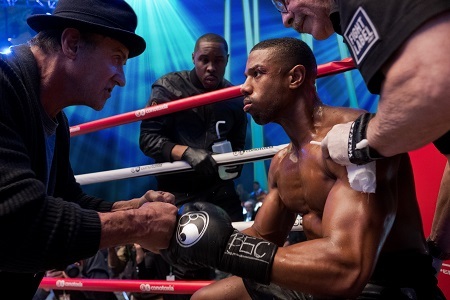 In the end, Stallone continues to be perfect as Rocky Balboa and Jordan was born to portray Adonis Creed. Their relationship grows in a number of charismatic ways, the purity of their bond one I’m not about to take for granted. 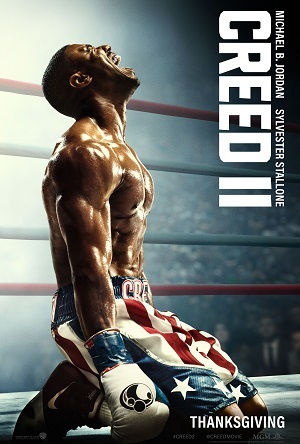 If this sequel isn’t quite the marvel it processor was that doesn’t make it any less entertaining, and whether for die-hard fans of the series who have been there since the beginning or for newcomers who just came to it on the strength of Coogler’s 2015 opus, Creed II is a pugnacious delight worth getting into the theatrical ring to see.